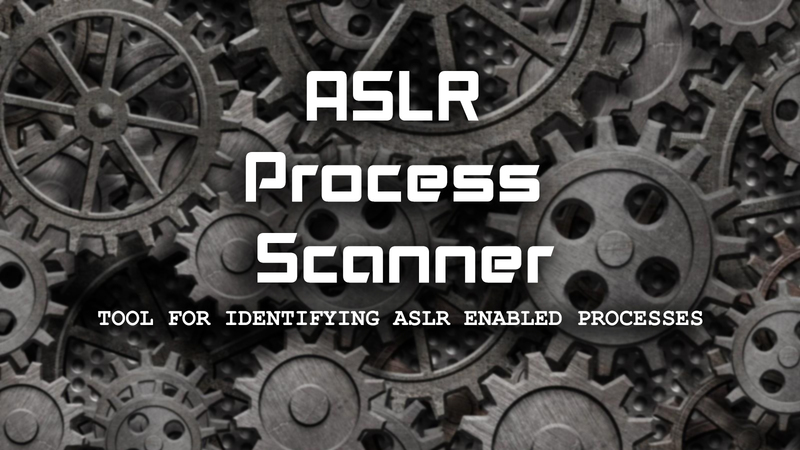 ASLR Process Scanner is a free command-line tool that can display all the ASLR enabled Processes. 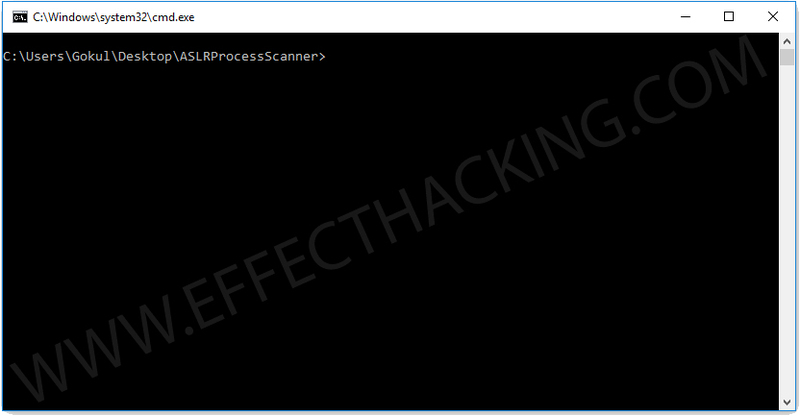 Since the ASLR Process Scanner is a command line tool, it is very easy to automate it through scripting. It is available in both 32-bit & 64-bit versions and works on almost all Windows platforms (Vista to 10). 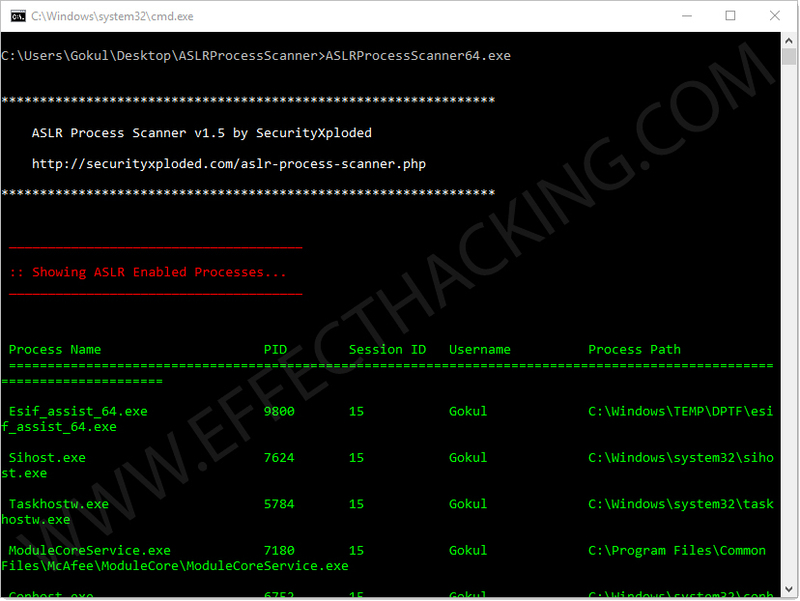 First, download ASLR Process Scanner (download links are at the end of this article). Then extract the downloaded zip file to the desktop. Then open the ASLRProcessScanner folder, and then right-click on the empty area while holding down the "Shift" key, and then select "Open command window here". This will open up a command window as shown below. Now, if you are using a 32-bit system, type in "ASLRProcessScanner32.exe" (without the quotes) or "ASLRProcessScanner64.exe", and then hit the "Enter" key. You will see all the ASLR enabled Processes (see the image below). There are also other options in this tool, use the following syntax or structure (call it whatever you want) to create the command.